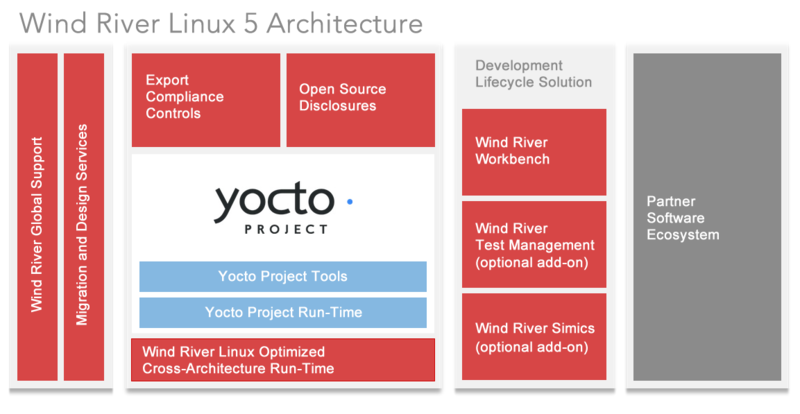 With the adoption of the Yocto Project™ as its core foundation, Wind River® Linux 5 is the evolutionary next step for open source platforms, elevating the value of our popular embedded Linux platform. We can now deliver a hardened embedded Linux distribution with world-class Linux support and differentiation at even faster rates for a lower cost and with significantly higher value. Our certified support and maintenance practices, advanced tools, and rich partner ecosystem will jump-start your development, raise software quality, and reduce the total cost of ownership for your embedded Linux–based next-generation devices.